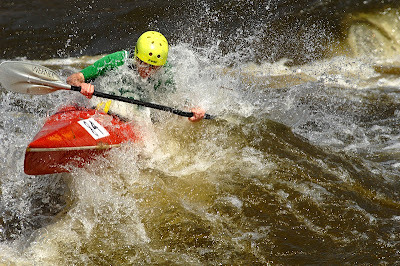 Here are a list of links to photo galleries by various photographers who were at the 49th Annual Kendskeag Stream Canoe Race. If you are a photographer with race photos that you'd like to share, send me a message with a link and I'll be happy to add you to the list. 2015 Race Results Are Here! 2015 Race Registration Now Open! Woo-hoo! 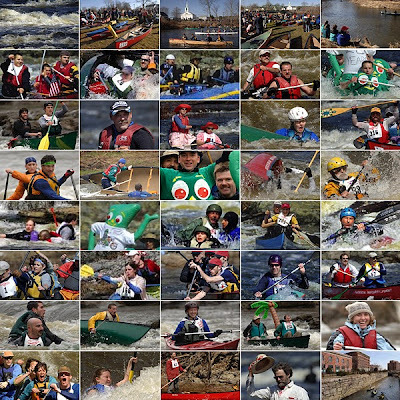 Spring is just around the corner and you can now preregister for the 49th Annual Kenduskeag Stream Canoe Race, to be held on April 18th, 2015. Download the 2015 race registration form here. You may also register online with Bangor Parks & Recreation (please note that you'll still have to download and return a signed registration form). Last but not least, Bangor Parks & Recreation released this canoe race information flyer last month for anyone who needs some basic info. Stay in touch for further race news and updates. By the way, the Bangor area has seen a decent amount of snowfall this winter (an understatement). My guess is the water could be "sporty" on race day. Should be fun!